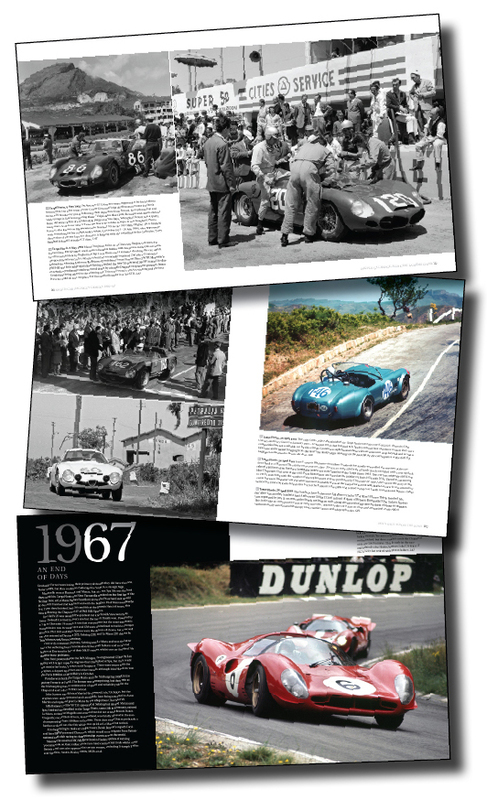 Paul Parker is a renowned photo researcher and author whose work focuses on motor racing in the 1950s, ’60s and ’70s. He has already written eight books in the excellent In Camera series and this latest volume is a worthy addition. 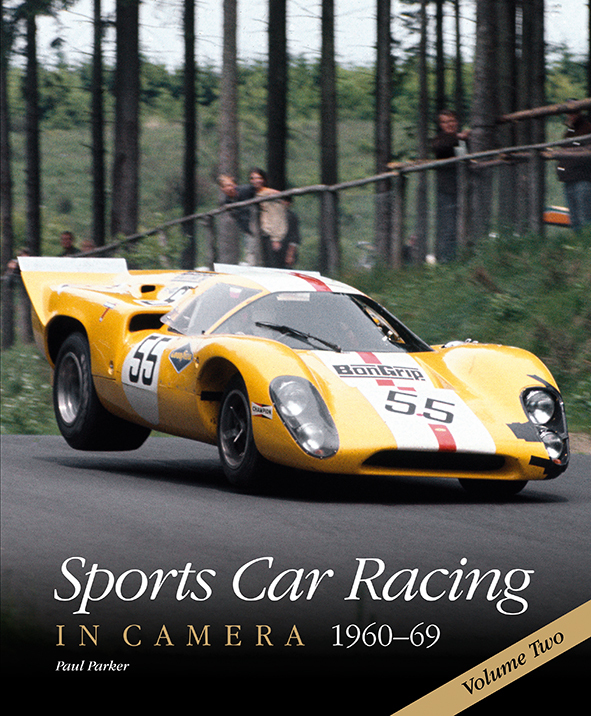 Sports Car Racing in Camera 1960–69, Volume 2returns to take a further look at sports-car racing in the 1960s – an evocative but brutal decade in sports-car racing and still essentially unchanged from its late 1950s origins during the first two or three seasons; ditto the venues. 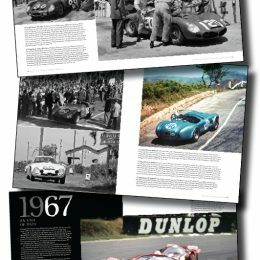 From the Ferraris, Maseratis, Porsches, Aston Martins, Jaguars et al to the beginning of the rear-engine era and the advent of American interests, sports-car racing underwent a radical transformation from the road-based racers of the previous decade. Here in colour and monochrome are the machines, their intrepid drivers and the many and varied circuits, some of them still public roads, which provided a stunning period backdrop that remained largely au naturel. 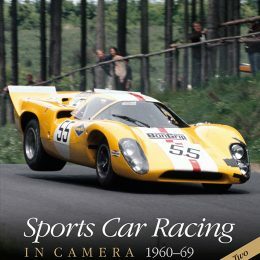 Paul Parker is the author of Formula 1 in Camera, 1950–59, Formula 1 in Camera, 1960–69 and Formula 1 in Camera, 1970–79 (volumes 1 and 2), along with sister titles covering sports car racing in the 1950s, ’60s and ’70s. 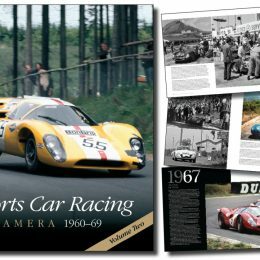 Additionally he has written Sixties Motor Racing with Michael Cooper, Jaguar at Le Mans 1950–95, Races, Faces, Places and Klemantaski: Master Motorsports Photographer. He is a freelance writer and photo researcher, with work published in Octane, Motor Sport, Classic Cars, Forza!, Jaguar World Monthly and The Daily Telegraph. 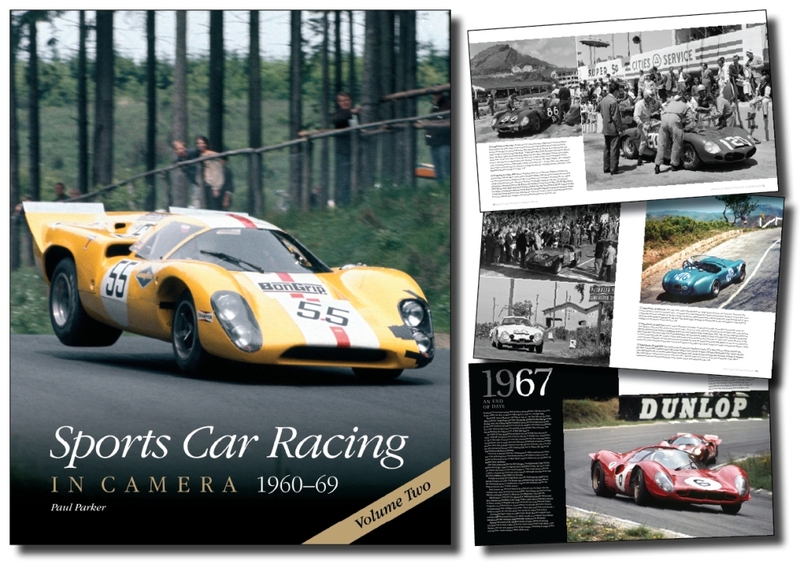 Published on 1 September 2015 by Behemoth and priced at £45.00, Sports Car Racing 1 in Camera 1960–69, Volume 2 is available from bookshops, Amazon and other online retailers.